No 6 St Dominick's Road. Whether you are trading up or downsizing, a first time buyer or investor, there is certainly something for you in Colleran's next auction on October 19. Final open viewings will take place this Saturday in Bohermore, The Claddagh, and Knocknacarra, and with prices starting from €130,000 for a two bedroom city centre house, there is something for everyone. The first open viewing will be at No 2 Dunne's Terrace, Bohermore, a spacious city centre two bedroom terraced house only a stroll from Eyre Square. It is in need of modernisation, which has clearly been reflected in the advised minimum value of only €130,000. In addition to the spacious accommodation there is a very large back garden offering room to extend, subject to planning. Open viewing Saturday 11am to 11.30am. 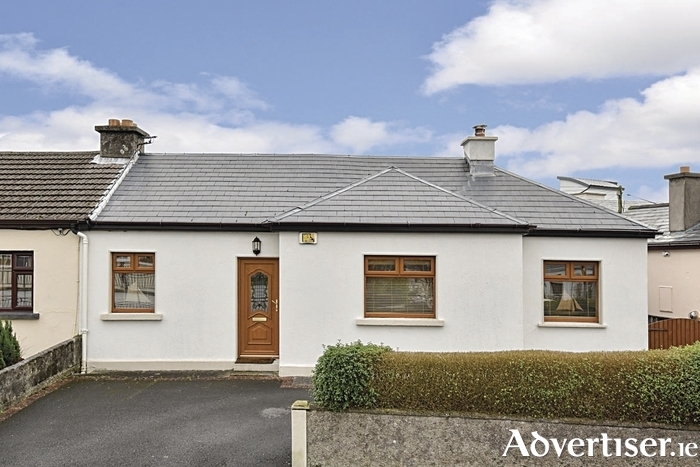 No 6 St Dominick's Road, The Claddagh, is a stunning, spacious, end of terrace bungalow which was reconstructed and extended in 2005 to a very high standard. What is now on offer is a quality, warm, welcoming, home just off Salthill Promenade and only a short stroll to the city centre. The reconstruction and redesign of this property was carefully planned to provide spacious accommodation, which is seldom found in houses so close to the city centre. Accommodation includes three bedrooms, two of which are large double rooms, and one en suite; a spacious kitchen with a very generous range of built-in and overhead units, dining room, and a cosy sitting room with a solid fuel stove that complements the oil fired central heating. The front lawn has been removed and fully paved for ease of maintenance and to provide off street parking for two cars. There is also a side entrance to a small back yard with a block built shed. While homes in The Claddagh appeal to everyone, the fact that No 6 is a bungalow and with every amenity on your doorstep, it will certainly appeal to anyone looking for a quality city centre home in which to retire. AMV is €320,000. Open viewing Saturday 12 noon to 12.30pm. Also included in Colleran's October 19 auction is No 67 Monalee Heights, Knocknacarra, a bright, spacious, three bedroom semi ready for immediate occupancy. This home will have very broad appeal, from first time buyers to young families or someone looking to retire to a safe, established, and very well maintained estate within walking distance of shops, shopping centre, church, and an excellent bus service to Salthill and the city centre. In addition to spacious, bright, accommodation this property has the added advantage of an extremely wide side entrance offering further potential to extend subject to planning. Accommodation includes entrance hall with downstairs toilet, sitting room with open fireplace, and fitted kitchen/dining room. On the first floor there are three bedrooms and a bathroom and a folding stairs to the attic providing additional storage. At an advised minimum value of €220,000, viewing is recommended. Open viewing Saturday 12.45pm to 1.15pm. For photographs, further details, and open viewing times for all these properties see collerans.com or contact Colleran auctioneers at 091 562293.